Adds cool new cards that are tradable to other players. Soon will be craftable. This can add to your worlds currency and can even be used to play a game. No survival or adventure use. If you ever make one for 1.12.2 I'd use it. 1.7.10 was considered the best minecraft version for mods, but now forge team stopped working on 1.7.10 forge and a lot of of mods were ported to 1.12.2 so most users use 1.12.2 now. 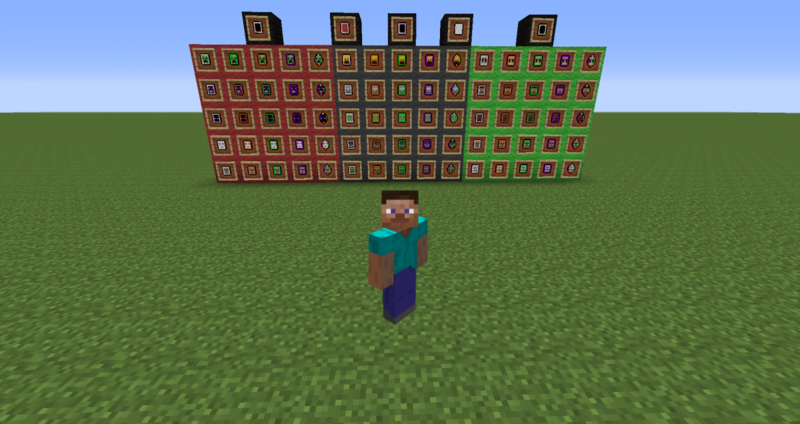 So I suggest adding a 1.12.2 download of the mod too. Sounds tricky but with some java skills, I reckon I could do it? Fun fact: Magic Material once had hostile card mobs as a part of 1.1, but they made the game crash for an unknown reason. Thus, after being unfixable, i removed them. But the good news is that Chocolate 1.1 is being made, while however as a file away from 1.0(.1) since that update was too huge to follow.